So Winter has finally arrived , not only with the bright sunny crisp Winter days that can be most enjoyable when out on your bike , but also the winds , and rain. Unfortunately, does this mean that you just stop taking kids out on the longer bike rides because its too cold ? None of us want to ‘catch a cold’ , so does keeping warm keep our kids healthy ? Staying warm & maintaining our body temperature helps our bodies defend against invasion of wind cold or viruses because viruses thrive and replicate faster when our body temperature drops. When the body’s temperature drops even one degree it leaves it more vulnerable to developing a full blown illness. If our temperature drops even further it will cause us to have shiver and our teeth to chatter. When that happens it is almost a guarantee that we’re going to get sick, especially when combined with exposure to other elements such as wind, rain or snow. This makes sense when you look at one of the body’s primary mechanisms for fighting of a virus — fever. Raising the body temperature even one degree helps the body stop or slow the replication of a virus and simultaneously improves the function of our white blood cells. So how shall we tell if when out on out bike rides kids are warm enough , whether they are riding themselves or being passenger in their bike seats ? A good way to check is to reach into their shirt and check to make sure their chest or back is warm. If this core area is warm then your child should be fine. If not, it’s time to add a jacket or another layer. 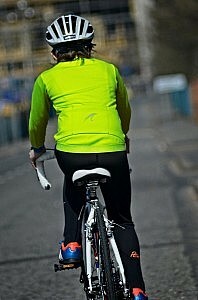 We all know that layering up is the best way to be kitted out when we head out onto our rides, with baselayer in a good wicking fabric, a jersey of similar fabric properties that would be breathable and wick away the moisture and a good jacket that is a windblock yet has thermal properties to keep warmth in yet let moisture out. My question is , do you dress your kids with the same theory ? Or do they wear a cotton T shirt ( as a base ) , with a cotton hooded sweat top ( mid layer ) and a non breathable rain jacket ? Quite often this is the case, as the market does not seem to provide the highly technical fabrics in suitable clothing, until now ! That is the reason why Pere have produced our Winter range of long sleeve top ( to act as a base layer ) , jersey and Winter cycling jacket and bib tight. 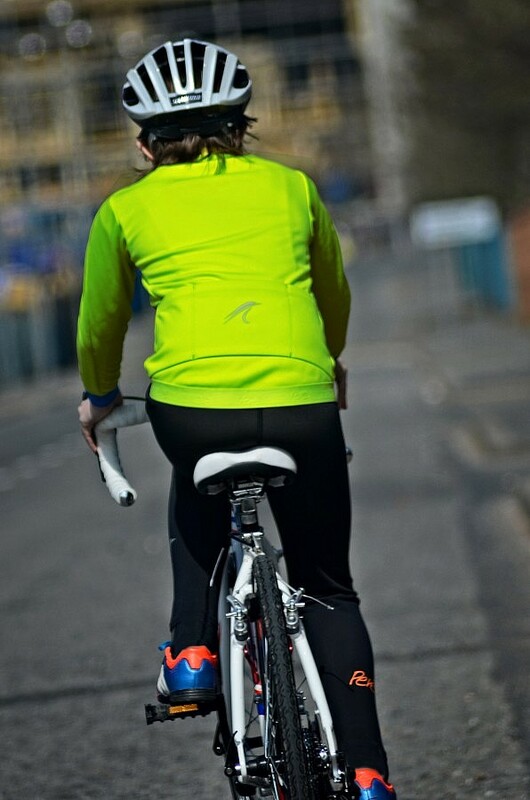 Keeping the right body temperature will ensure an enjoyable day out in the saddle, and keep healthy !